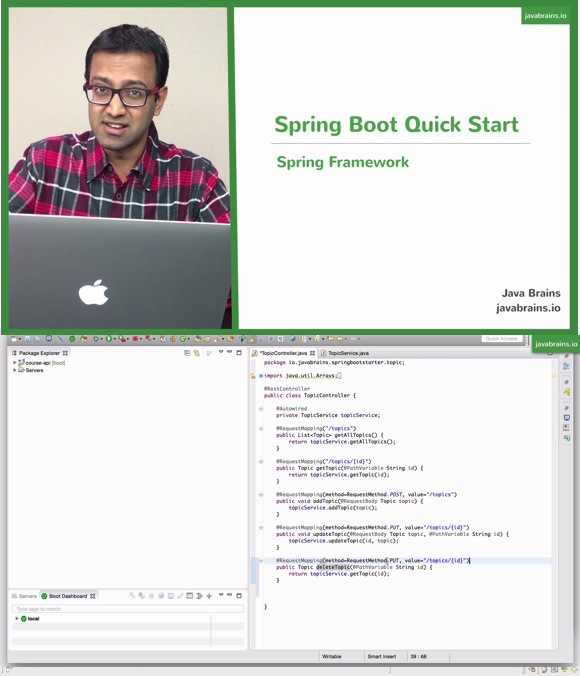 Learn how to create full end-to-end Spring applications using Spring Boot. This course is a quick start introduction to Spring Boot and a complete hands-on guide to building a complete database backed REST API using Spring technologies. Spring Boot Course - Amazing ! Really very good step by step explanation. Thanks a lot for your effort. It helps a lot! This has been an amazing course and I am confident of creating Spring boot application now. Thanks Kaushik for sharing your knowledge. The tutorial is best to learn from scratch to production. Could you please provide the sample to download. Excellent material to init with SpringBoot.